First of all this is the new RDA atomizer from wismec. Because of the new breakthrough design, the RDA is indestructible. Also it has a very creative airflow washer. As a result, you can enjoy different vaping experiences through the precise top airflow control. Another factor is that the atomizer deck is one of the easiest to build. That is because of the wide open slot wire terminals and also the oversized juice well. 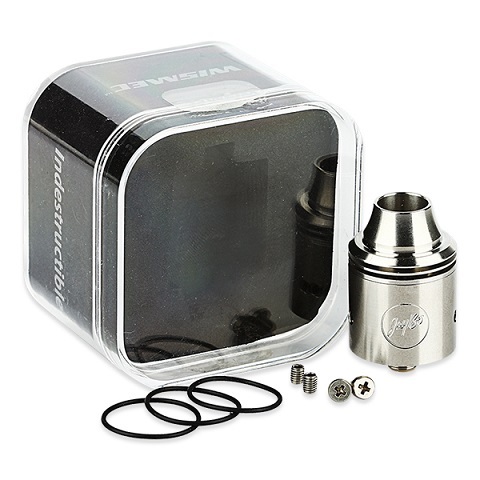 Finally the Indestructible RDA comes in silver and black color. Because this is an RDA atomizer you are going to need some tools and organic cotton in order to build your new coils. You can also BUY already done coils from here.